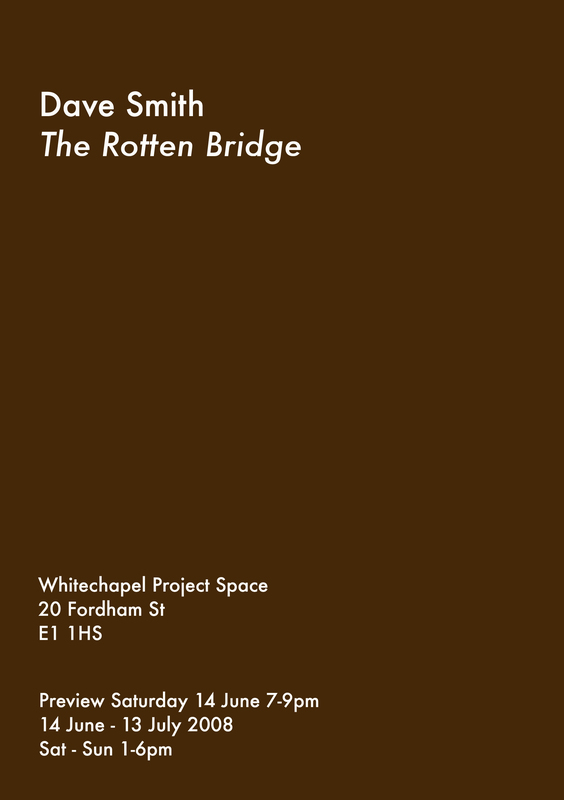 Whitechapel Project Space presents an exhibition by Dave Smith that forms part of his ongoing project of collation, reproduction, and categorisation titled Morphology of the Crucifixion. 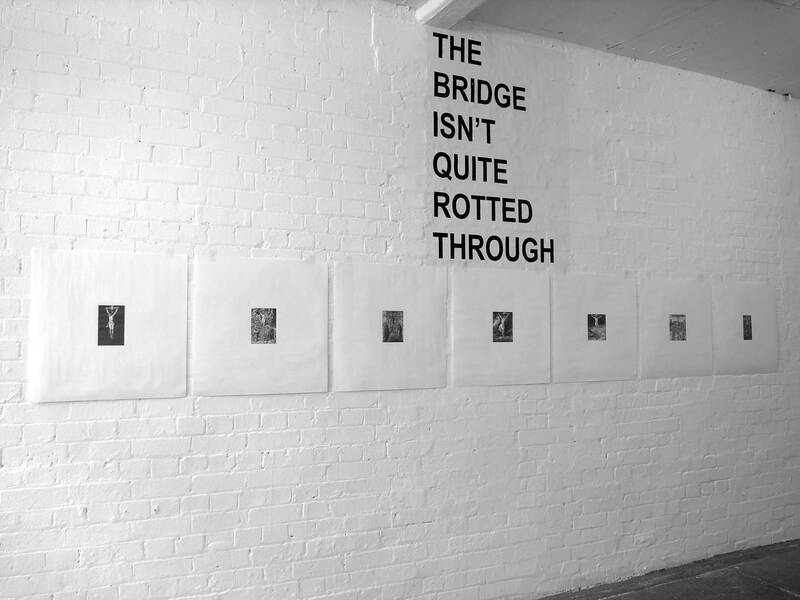 This presentation - unified under the title The Rotten Bridge - features a series of pencil drawings of crucifixions. 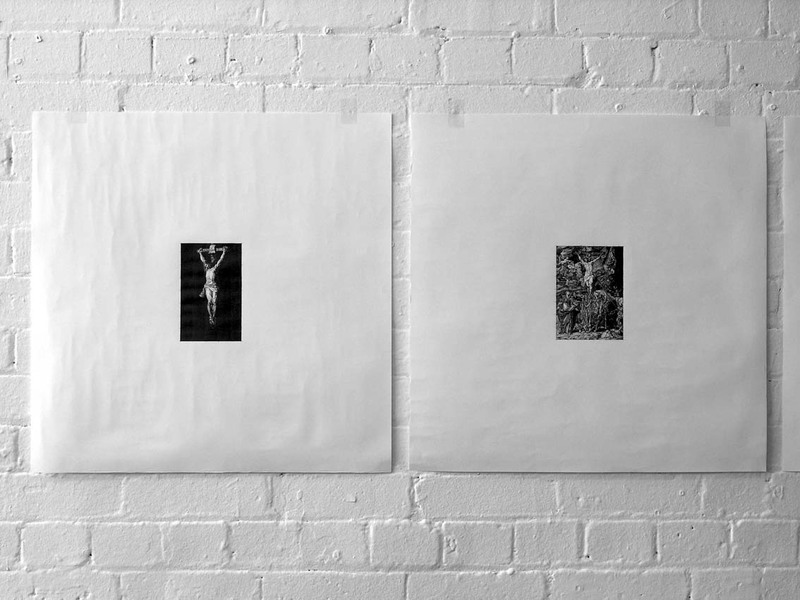 These faithful, facsimile drawings are made from photographic reproductions of pre-existing images of the crucifixion (such as Old Master paintings and religious icons) and are shown in the gallery as two groups, each gathered under a short text that is printed and attached to the wall, operating as an ambiguous subtitle. 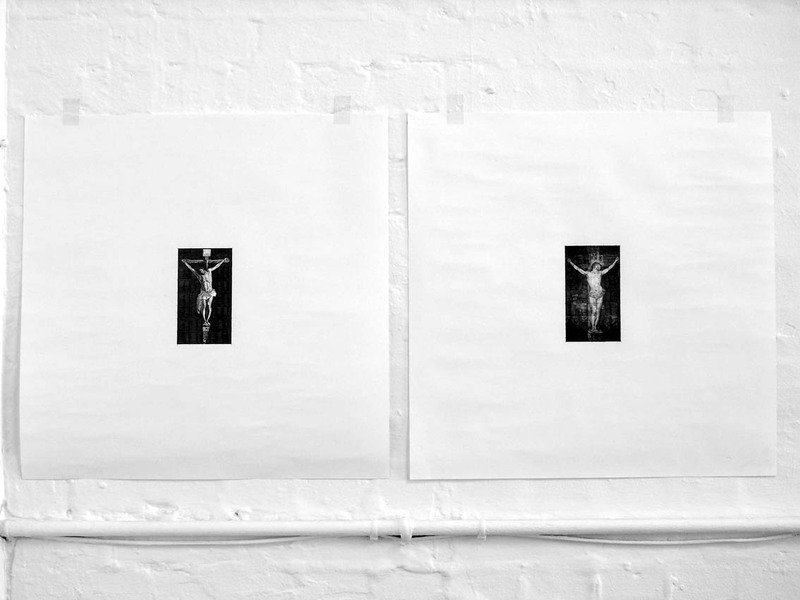 The grouping of these drawings is at first glance arbitrary, yet on further analysis highly specific - one group consists of representations of the crucifixion in which Christ's feet are individually nailed to the cross, the other shows Christ's feet crossed and pinned with a single nail. This classification of the variances within the narrative of the crucifixion of Christ is part of an ongoing process undertaken by Smith that stretches to further groupings and reproductions. Inspired by Russian formalist scholar Vladimir Propp's Morphology of the Folktale - an analysis of the basic plot components of Russian folk tales to identify their simplest irreducible narrative elements - the series focuses on the crucifixion as an accumulation of, and as an object initiated by interpretation. Smith uses the process of drawing as a means to flatten imagery to assimilate it into a reductive structure. 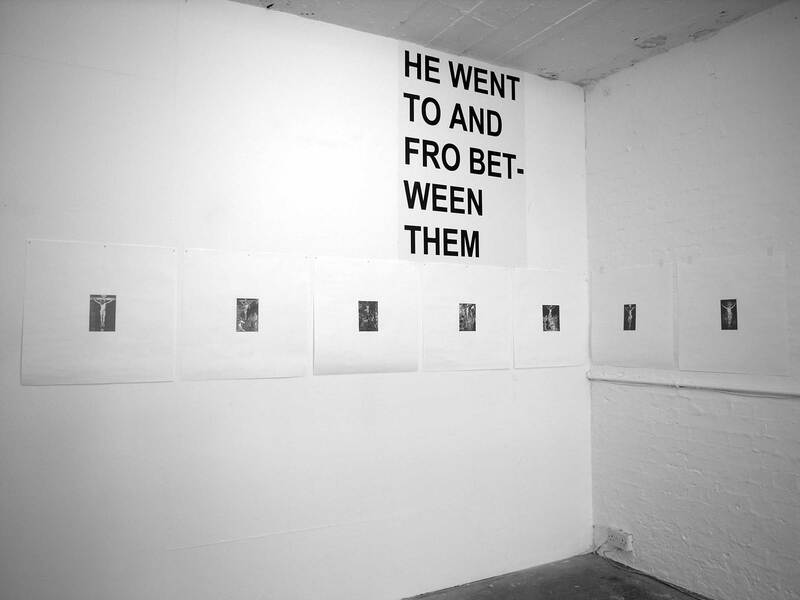 This strategy stands as a perverse attempt to ground a meta-narrative of belief - by prompting a consideration of its structure the crucifixion is held at a distance and objectified before further appropriation on the part of an audience.